The KAGI burner, the most reliable burner on the market – many customers report not having to touch them for 6 or 7 years. The special KAGI “soft start” tank, which enriches the fuel to air mixture for immediate start-up with higher air pressure, purging the residual oil out of the system, preventing nozzle dripping and electrode coking. 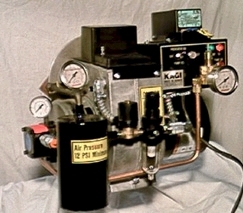 The unique KAGI retention head, designed for waste oil. Large twin heating elements used in the unique KAGI designs prevent overheating oil – the major cause of preheater sludge and plugging. Special preheater switch. The KAGI burner has a switch that disables the heating elements, yet allows the burner to still function. This allows the safe burning of regular stove oils and light fuels. Few proprietary parts in the KAGI burner, meaning convenient parts replacement and service. Nothing fancy, just excellent designs. 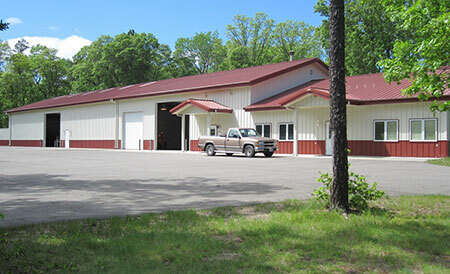 Get All Your KAGI Heater Parts and Service at Rudbecks – call 218-692-4759!